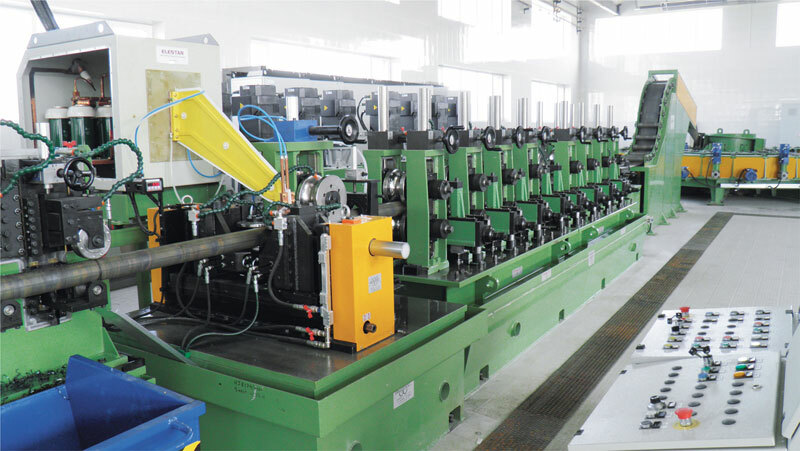 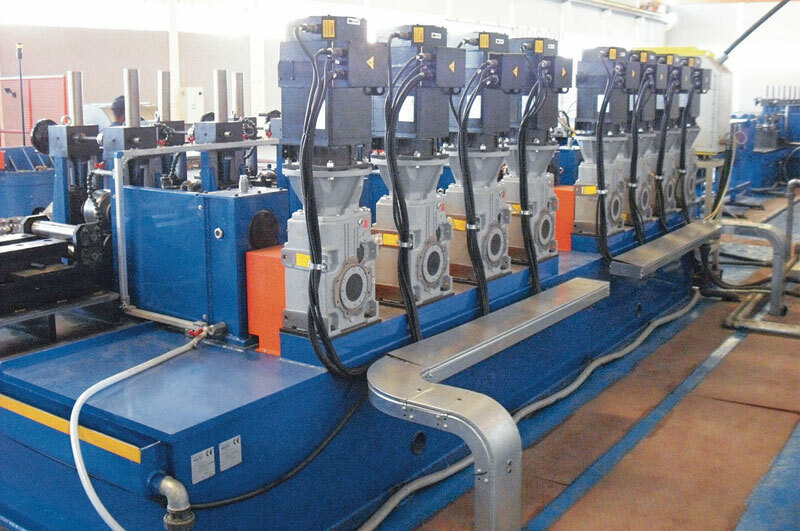 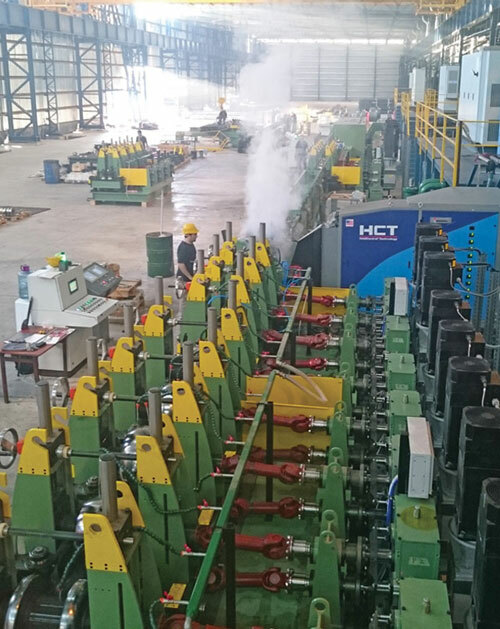 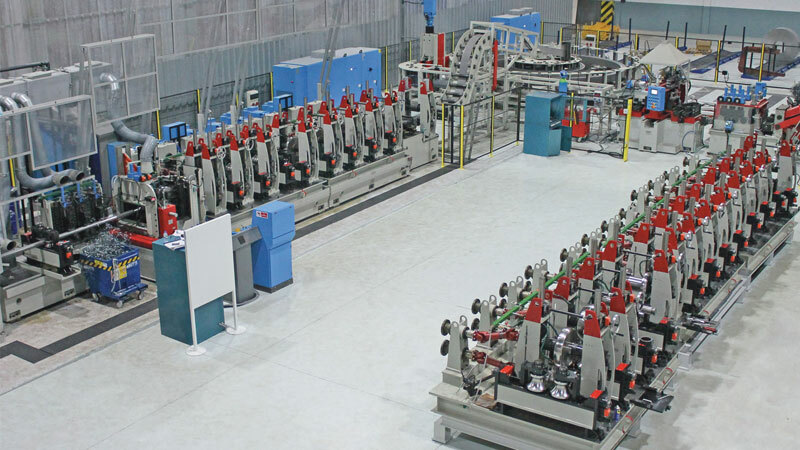 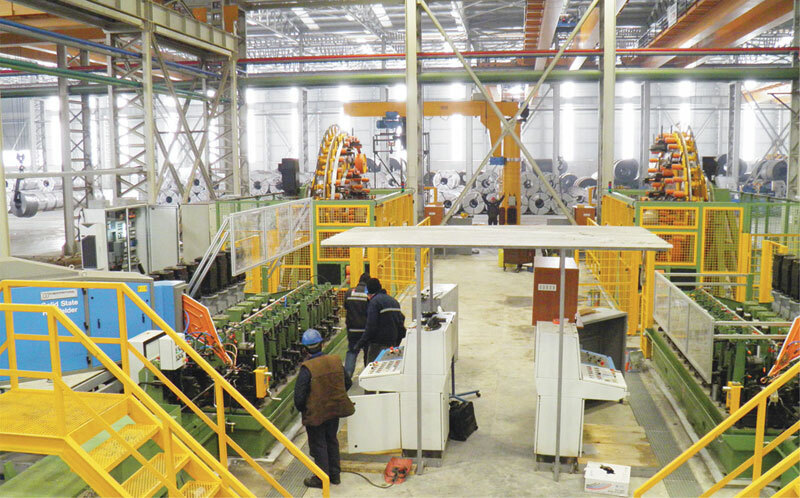 Production line for steel welded tubes from 25 mm to 88.9 mm O.D. 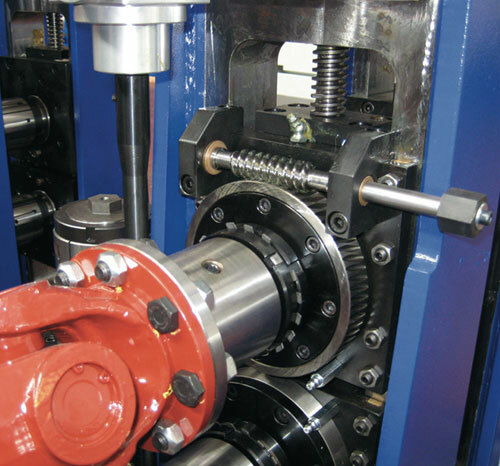 complete with cassette system for quick roll change. 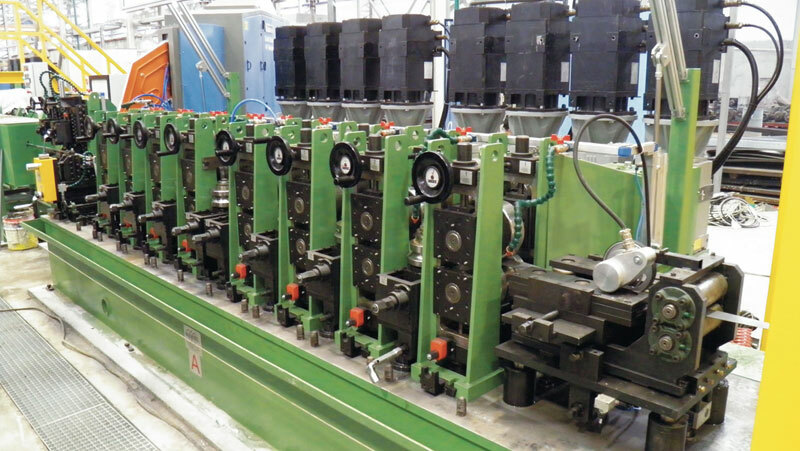 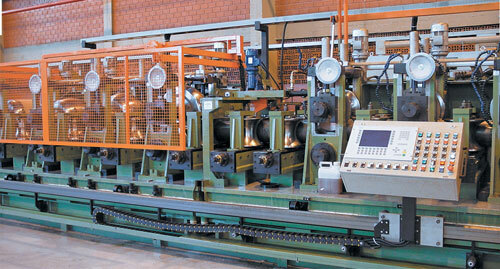 Production line for steel welded tubes from 35 mm to 130 mm O.D. 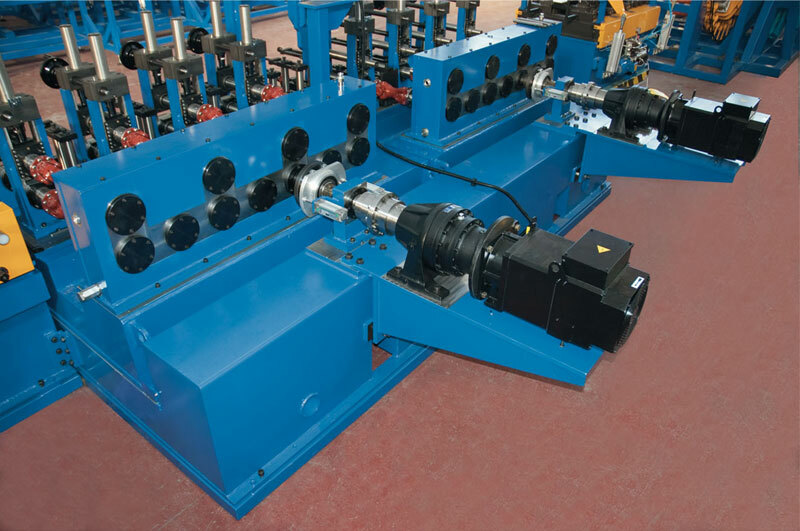 complete with cassette system for quick roll change. 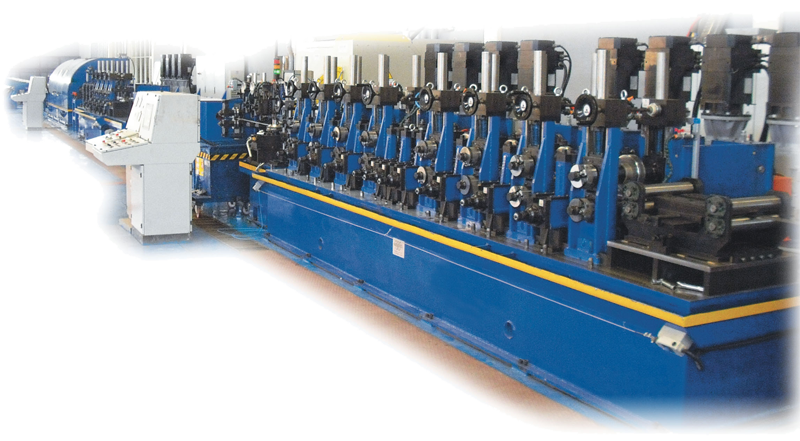 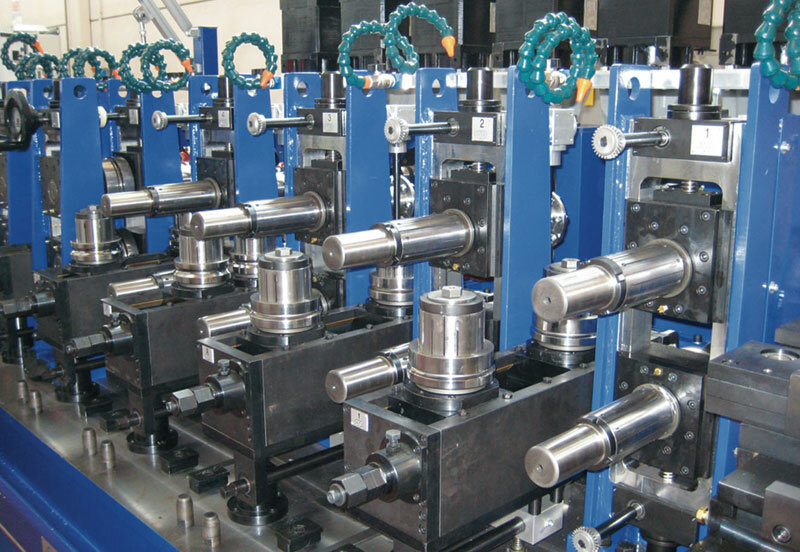 Complete line for production of High precision steel welded tubes from 10 mm up to 42.4 mm O.D. 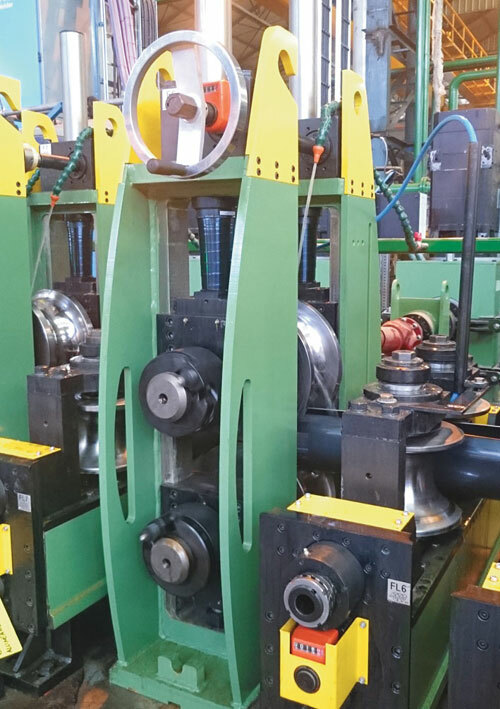 Complete tube mill for carbon steel tubes production from 35 mm up to 130 mm O.D. 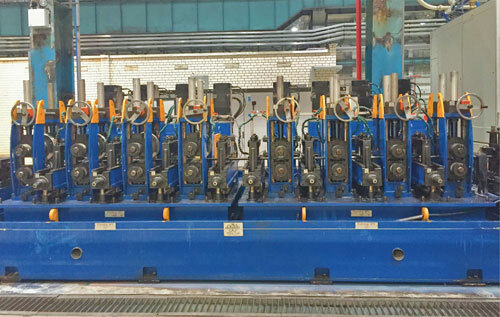 Complete tube mill for production of carbon steel tubes from 60 mm up to 220 mm O.D. 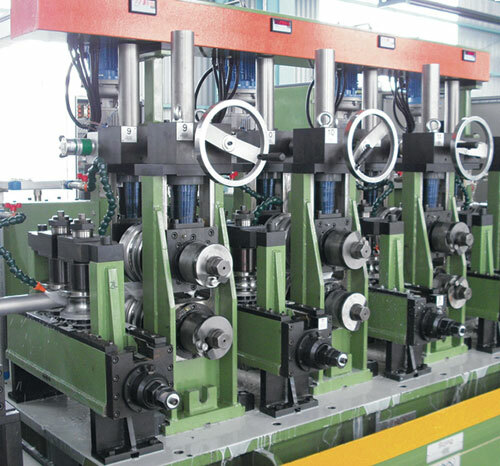 High precision forming stands with roll-shaft coupling by shaft mechanical expansion, which guarantees extreme accuracy in the tube diameter. 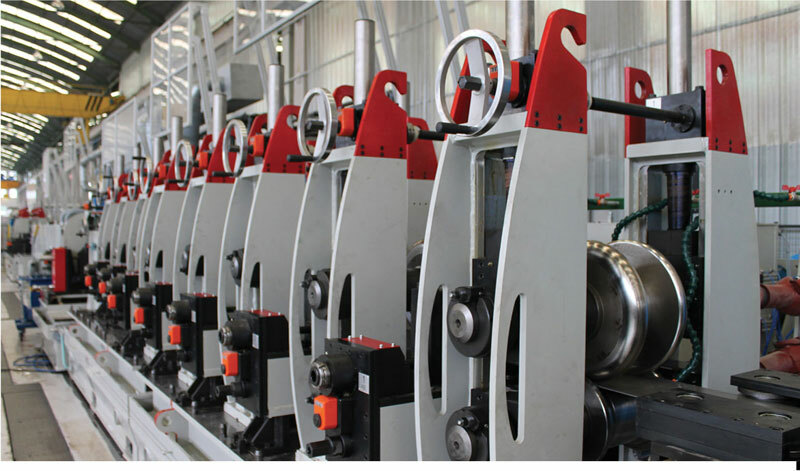 Top roll adjusting system by electrical motor and digital display.